If your bathroom is on the smaller side and you often feel cramped or uncomfortable, remember that there is always something you can do about it. While a full-on bathroom remodel in Jacksonville involving the movement of walls may be impractical, a new bathroom design may be just what you need. Feel free to keep reading if you would like some helpful tips on transforming a small bathroom. When it comes time to change things up around your house, it is important to start by thinking about why you need a change. While remodeling and redesign can be immensely helpful, you will need to identify a direction to move in that will lead you to your desired result. You may think that your bathroom is too small to be turned into a luxurious atmosphere, but with a little creativity you can create any kind of environment you would like; the important first step, however, is identifying the purpose. Many different factors contribute to the feeling you get when you enter a space like a bathroom from the colors of the walls to the way your belongings are stored. Fortunately, all of these elements can be manipulated to meet your goals. Humans may spend a substantial amount of their lives sleeping, but they also spend a great deal of time in the bathroom. Thus, for some people, it is important to keep the bathroom aesthetically pleasing . If the shower, vanity, and walls in your bathroom are all white or light neutral colors, consider adding a vibrant shower curtain with a deep hue for a little color shock. If you want to adorn your small bathroom with a cohesive modern design, you may instead want to capitalize on contrasting shades of darks and lights. If you want to take control over the space that your bathroom has to offer, consider the way you store your belongings. Creative ways to maximize space include vanities with cabinets and drawers and mirrors with hidden storage spaces. You may also consider using sliding shower doors so that they do not open into the room. A clogged drain can be a major problem, especially when it leads to flooding and sewage backup. To keep your drains and sewer line flowing smoothly, be careful about what you pour down the sink and flush down the toilet. Most drain stoppages are caused by hair, grease, and non-biodegradable materials. You also need to watch out for root invasion. Take a look at this video to learn more about the health of your drains and sewer line and why a reputable plumbing repair company is needed to keep your plumbing system flowing smoothly. 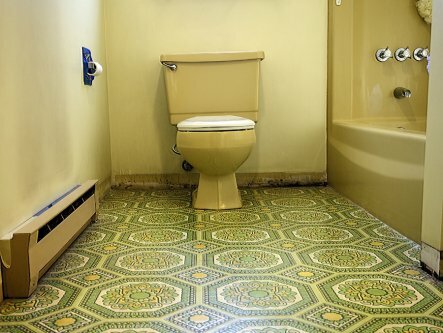 Drain clogs are not entirely unavoidable, so keep your plumber’s phone number handy in case of an emergency. Your Jacksonville plumber can remove even the most stubborn clogs in no time so you can get back to your routine and stop worrying about your drains. If you’re thinking about replacing your old water heater, consider upgrading to a tankless unit instead. These revolutionary water heating units provide instantaneous and unlimited hot water, all the while requiring less energy than conventional models. 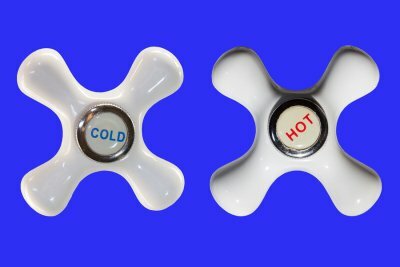 In other words, you’ll lower your energy bills while enjoying on-demand hot water anywhere in your home, even if you decide to take a hot shower while the laundry machine and dishwasher are running. Before you contact a water heater installation company in Jacksonville , read this brief article to get an idea of how tankless water heaters work. Tankless water heaters, also known as on-demand water heaters, provide piping-hot water when you want it thanks to a powerful heat exchanger. A heat exchanger is simply a device that transfers heat from one source to another. In a tankless water heater, the heat exchanger transfer heat generated by electric coils or a gas-fired burner to the water that comes out of your faucet. The heat exchanger inside a tankless water heater is activated by the incoming flow of water, which eliminates standby heat loss and makes tankless systems more efficient than conventional water heaters. Tankless water heaters come in two varieties: point-of-use and whole-house heaters. Point-of-use water heaters are more compact and used to heat water for one of two outlets only. Whole-house systems, on the other hand, are larger and can operate more than one outlet at a time. This means no more fighting in your house about who gets to take a hot shower next or who used up all the hot water. If you think a tankless water heater is right for your home, contact a Jacksonville plumbing company that specializes in water heater repair and replacement. Your plumber will help you select the perfect unit based on your household’s hot water needs.